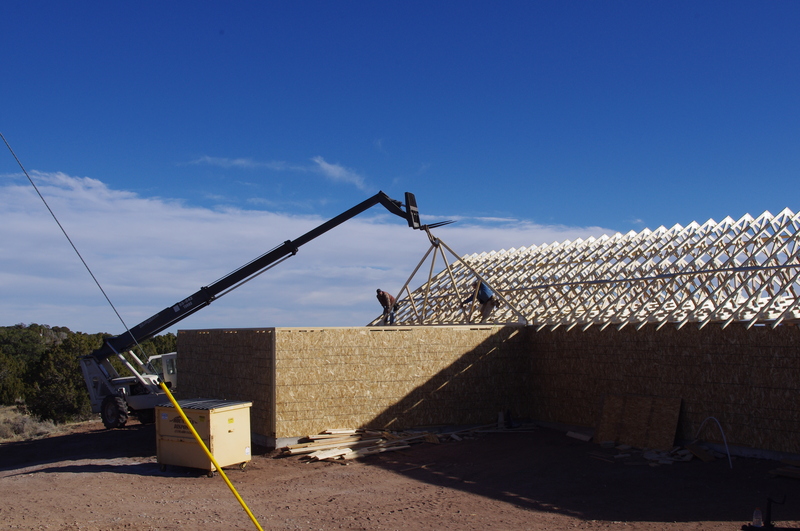 The Trusses are Going UP! OK, a few months ago I didn’t even know what a truss was. Now I feel like an expert! Two men were balancing up there, while guiding the trusses from a small crane! 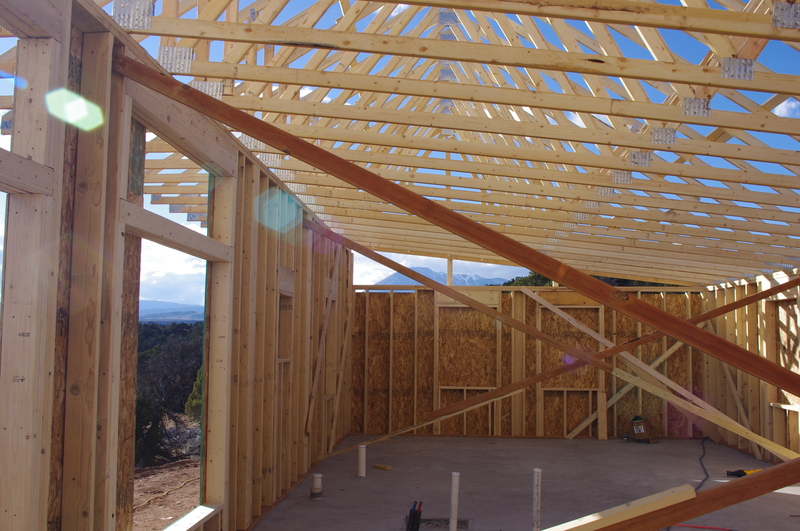 Check out the scene at our mountain property yesterday as we watched the trusses going up! 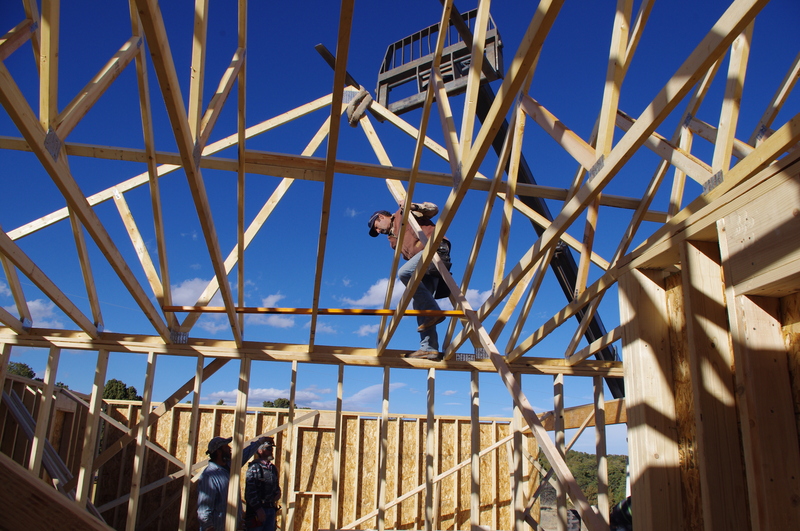 It was warm and a bit too windy for my comfort, but the brave men putting up our new home in southern Colorado were working very hard anyway, even on a Saturday! 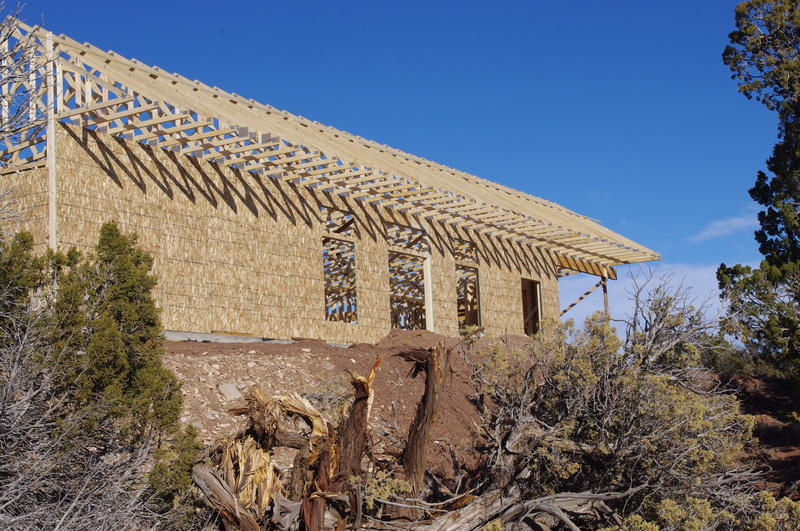 When we arrived they had already completed the trusses on the south-facing part of our home and were working on the back, garage section. 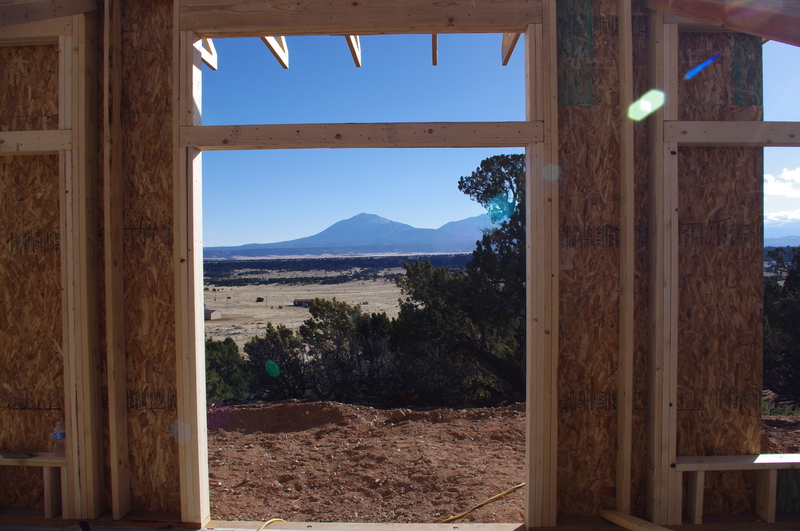 Check out the view from our south-facing windows! And the view looking west towards the guest bedroom! Finally it’s beginning to look like an actual house, and they got them in just in time for a little bit of snow today. The view from the south-facing window is stunning. Bet you can’t wait to sit in front of that window, wine glass in hand, feet up, and finally enjoy your new home! How did you know my most favorite fantasy right now? It just started snowing here and feeling Christmas cozy in our 100 year old rental in town….